London (52 Brightwell Road, Watford, Herts.) : H. Ash. A deaf mute wedding. 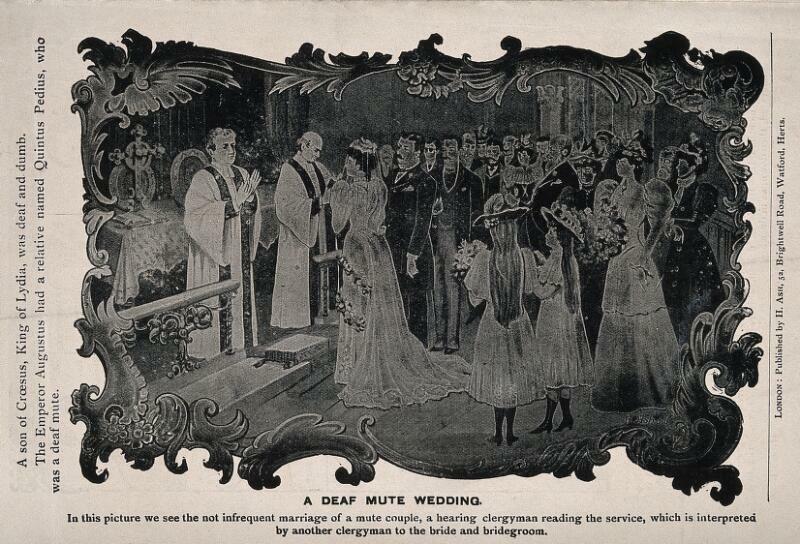 In this picture we see the not infrequent marriage of a mute couple, a hearing clergy reading the service, which is interpreted by another clergyman to the bride and bridegroom. ... H. Ash del.